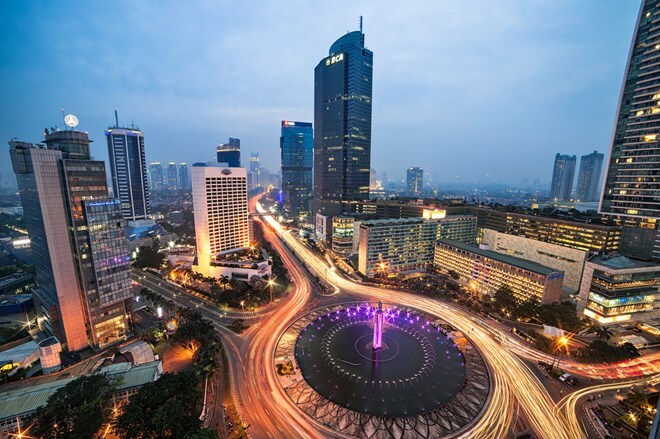 Jakarta (VNA) – Indonesia, the largest economy in Southeast Asia, has jumped 15 places from 106th position to 91th position among 190 economies in the World Bank (WB)’s Ease of Doing Business Index 2017, released on October 26. WB Country Director for Indonesia Rodrigo Chaves said in the past three years, the Indonesian government has made a lot of efforts to improve the quality of the business environment, especially in the private sector. Other government efforts that supported Indonesia's jump in the rankings are the encouragement of the use of online systems, the scrapping of the paid-in minimum capital requirement for small and medium-sized enterprises, the introduction of simpler customs documents and a dedicated procedure for commercial litigation and small claims, he said. Since September 2015, the Indonesian government has launched 13 packages of economic policies to improve the business and investment environment. The 14th package will be issued soon, focusing on e-commerce. According to the WB report , there are no obstacles to women in Indonesia in starting a business, registering property and enforcing contracts. Indonesia is one of the ten biggest climbers in the rankings, along with Brunei, Kazakhstan, Kenya, Belarus, Pakistan, Saudi Arabia and Bahrain.